Recording as Akshen, he began his career recording solo for Rap-A-Lot Records, a local label in Houston, Texas. In the late 1980s, he joined the Geto Boys as they were forming and released We Can't Be Stopped, a highly successful LP that garnered the Geto Boys a large fanbase, in spite of their ultra-violent lyrics keeping them far from radio and MTV. Akshen changed his name to Scarface (he even changed his flow from a rapid-fire Kool G Rap-like delivery to normal flow, this time with a darker tone), after the film Scarface, saying he felt that the main character of the movie was just like him in many ways. Scarface soon released his debut solo album, Mr. Scarface Is Back. The album was a success, and Scarface's popularity soon overshadowed the other Geto Boys. 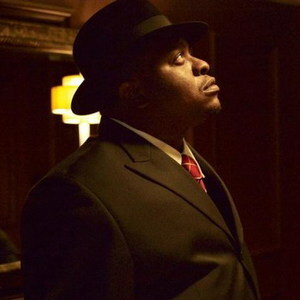 Scarface left the group and released a series of solo albums that kept him in the public view in spite of decreasing sales. He turned this around with 2000's Last of a Dying Breed, which received overwhelmingly positive reviews and sales, and earned him Lyricist of the Year at the Source Awards. In 2002 he released The Fix, the critically acclaimed follow up to Last of a Dying Breed. In 2007 he released Made which overall recieved very positive reviews.